A few times a year we gush and gabble and splatter some serious love for our friend, Josh Scheuerman, and his plethora of good causes all over this blog. And we’re certainly not about to stop now. 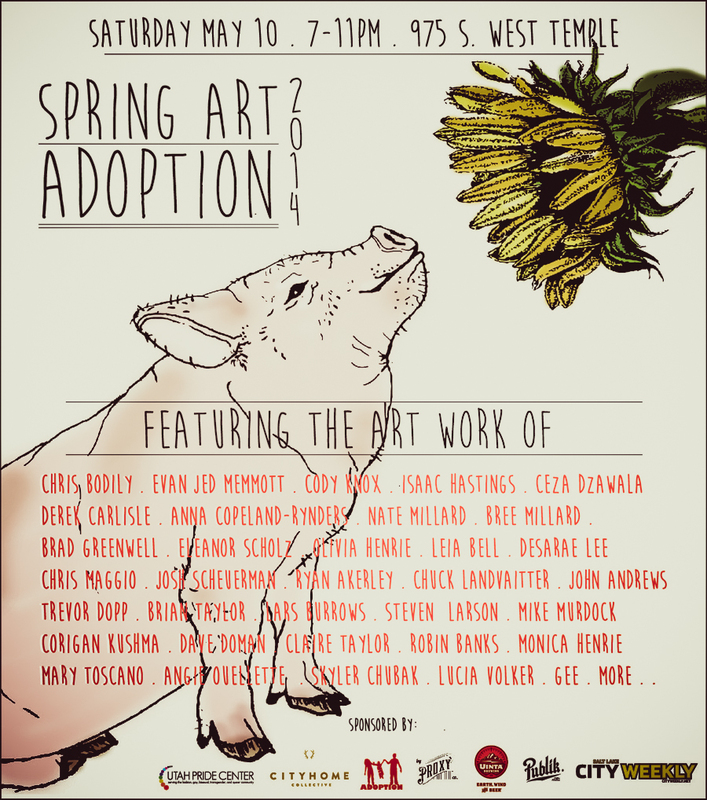 That’s right--it’s time once more for the biannual Art Adoption. In case you happened to miss our previous write ups on this joint [no less than five to be precise], here’s the skinny: the Art Adoption helps local artists find homes for previously unsold pieces while fostering a pop-up spot for donations to the Homeless Youth Resource Center, Utah Art Alliance, and the Utah Food Bank. Awesome. Super. And stellar. The official flier is out [a peachy-keen work of art, in and of itself], and the roster of artists set to be touting their wares has got our pocketbooks positively tingling. Leia Bell, Robin Banks [best name ever], and cityhomeCOLLECTIVE’s own Corigan Kushma are included, so consider your palette [classic word play] officially whet. Don’t miss another opportunity to get some top-shelf local art at a smashing-good price, and bring cash, non-perishables, or gently-used coats for the cause. Karma = handled.